Our small square porcelain holiday plates are perfect for appetizers or desserts. Each plate features a different Christmas design along with the family name. Bev can also hand paint a holiday saying across the bottom of each plate for an added touch. Choose one plate for $14.95 or a set of four with the same family name for $52.95. 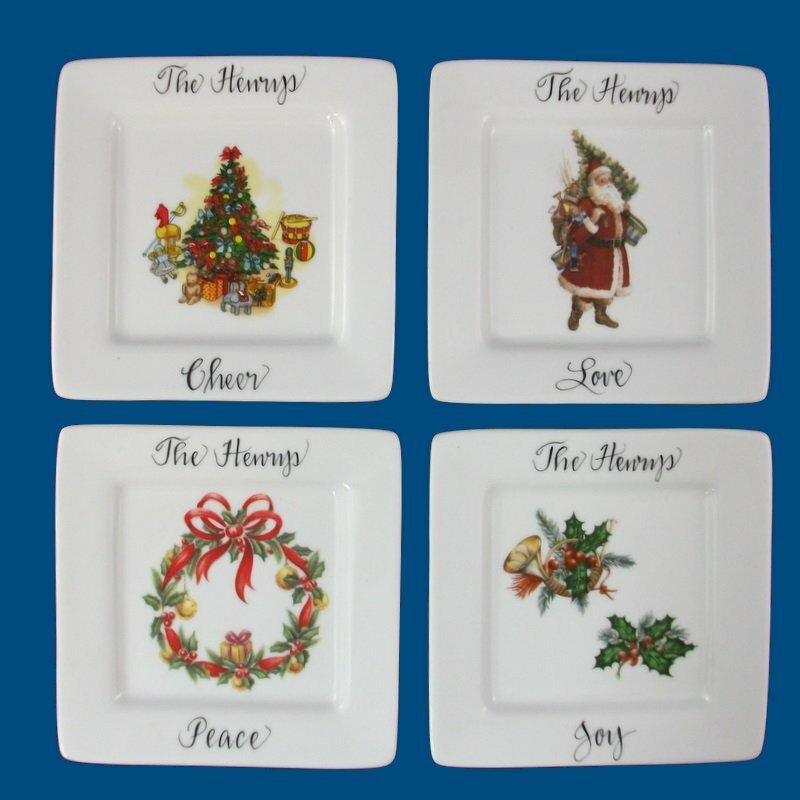 Our Christmas plates are a wonderful hostess gift for the holiday season.